Anton Anderssen will teach a class on Reba McEntire, and for that task he has received -- her size 7, leather, autographed tennis shoes. Anton Anderssen received a pair of used sneakers in the mail the other day, but to him, they're just as precious as those proverbial ruby-red slippers. The size 7, white, leather, autographed sneakers with red baseball stitching belonged to country superstar Reba McEntire, and Anderssen, a Warren resident and avid McEntire fan, was absolutely ecstatic to have them. "I couldn't believe my eyes," says Anderssen. "Reba McEntire's return address was plastered all over the box and it sat on my front porch for a week while I was in Alabama. I was amazed that no one bothered it!" The effusive Anderssen, who teaches foreign language courses at Oakland Community College in Farmington Hills, says he got the shoes to teach a class on McEntire on Aug. 18. "I contacted Reba's people at Starstruck Entertainment and they were thrilled about the class. I asked them if they'd send me something of Reba's for the class and I got the shoes!" A course devoted to Reba McEntire? Anderssen says she's the perfect subject. "She's the next Elvis," he says. "She's the largest-selling female country star in history, with five triple-platinum albums, and she's been through so much: the death of her manager and seven members of her band in '91 and her divorce from her first husband in '87. She's shown people that no matter what you've been through, you can survive. "One of my favorite songs of hers is 'The World Didn't Stop for My Broken Heart' after her band was killed. It will be so nice to spend a couple hours discussing her life, how her music talks to us and how it makes us feel." 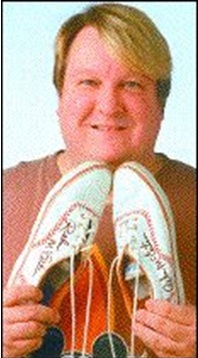 Anderssen, who plans to keep a shoe for himself, will award the other to one of his lucky students in a drawing the night of the class. 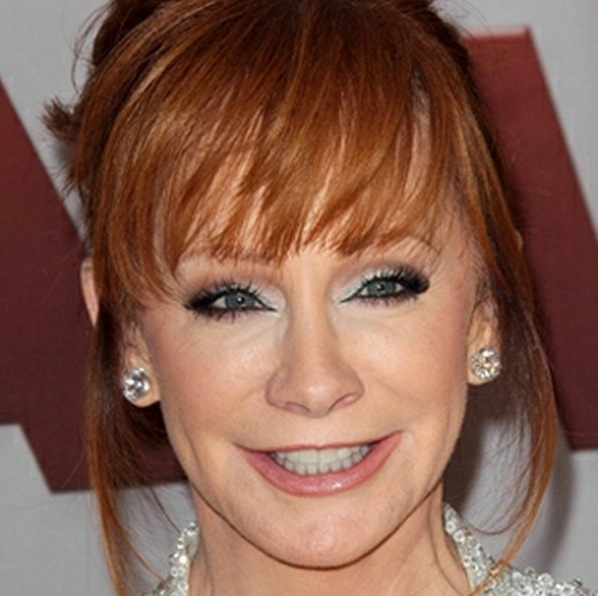 Reba McEntire 101 will be held from 7 to 9:30 p.m. Aug. 18 at Oakland Community College, Farmington Hills.